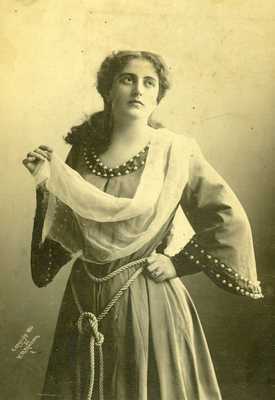 "Maxine Elliott, Daly's Midsummer Night's Dream "
A black and white photograph in the Diana Forbes-Robertson collection on her aunt, Maxine Elliott, an internationally renowned actress born in Rockland, Maine in 1868. The photo is marked in white letters, "copyright 1895 by W. M. Morrison. 8."